Knowing some basic photography secrets can mean the difference between a good photograph and a great one. Learn these simple tricks and improve your craft dramatically. 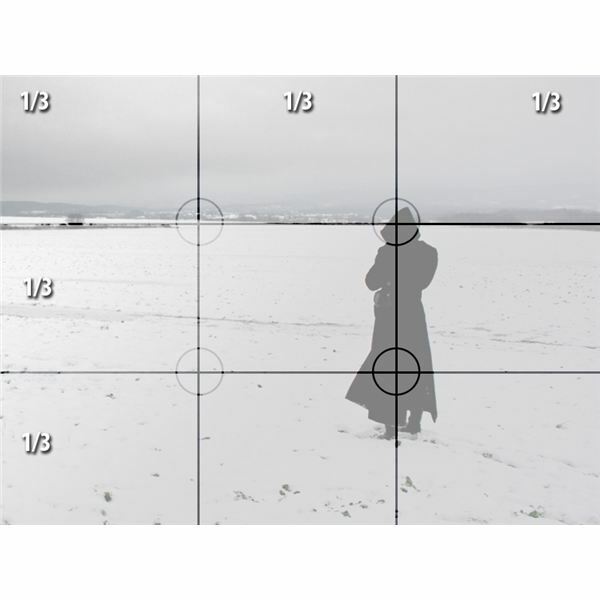 The Rule of Thirds, one of the top photography secrets, states that you should imagine the frame in your viewfinder cut up into thirds, both horizontally and vertically, so that you have nine rectangles in all. Your action or subject should be on one of these lines or close to it, rather than dead in the middle. See the photo at right. The subject is in the right third of the frame, right on the hash line, with the head at one intersection and the feet close to the other intersection. This is a well-balanced composition, according to this rule. Putting the subject off-center like this opens up the left part of the image, creating a contrast that excites the eyes. If including a person in your photos, be mindful of where your subject's eyes are looking. Direct eye contact can be very powerful, even confrontational, depending on how you use it. Whichever effect you get from direct eye contact, you will definitely have the viewer engaged in the image. Avoiding eye contact can also have a powerful impact on your image if used well, conveying a sense of secrecy, shame, or possibly simply disengagement. Perhaps you want your subject to look at something else in the photo, which can draw the viewer's eyes there as well. If your subject is looking to the right of the photo, the viewer's eyes will also be drawn there to see what she is looking at. Experiment with having your subject look away in different directions and looking straight into the camera to see the effects the different positions create. Look at the photos here and note the different effects you can have from using and avoiding eye contact. Vasara was a model who came by to be part of my tattoo photo project and was very expressive. Nothing can ruin a good picture more than flat, boring lighting. Use a ratio lighting system to highlight certain features. Ratio lighting is the use of different levels of light on different sides of a subject you are photographing. Most often, you might hear this term in reference to portraits, but is applicable to any situation in which lighting is different on one side from the other. It adds depth and makes the photo more visually appealing. When setting a light ratio, I do not like to go beyond one f-stop difference from one side to the other because it tends to make one side darker than I like. Ratio lighting is definitely one of my most-often used photography secrets. Learn valuable photography secrets that can turn your pictures from good to great with just a little bit of effort. Carl Weaver, professional photographer, explains how to improve your photos with ten simple photography secrets. Topics include Framing Photos Through the Lens, The Sunny 16 Rule and Avoiding Camera Shake. This is one of the harder photography secrets to implement, in my opinion, because it requires a little extra thought and planning, when really one of my strengths is shooting unposed photos. You frame a photo or painting to give it context in terms o f where you place it, right? The same can be done within your photos to bring attention to the main part of the image you make. Find something in the environment where you are shooting that can add a border to the subject. This works for all types of subjects, whether human, landscapes or another type. 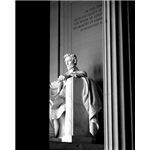 Look at the photo at right of the Lincoln Memorial in Washington, D.C. 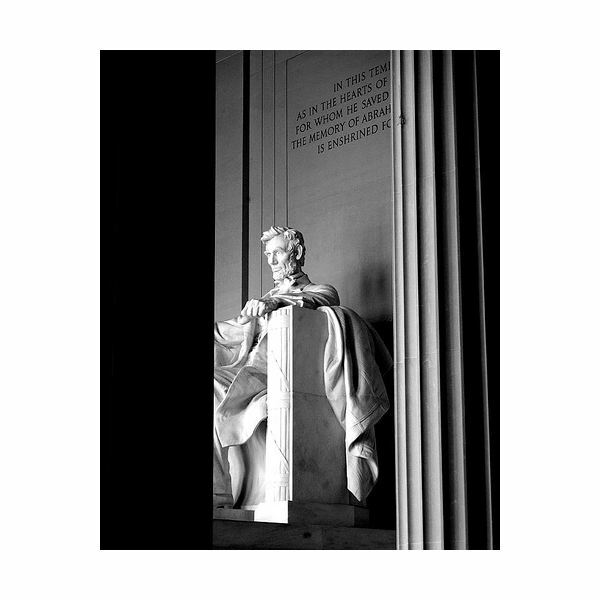 I used two of the giant columns inside the building to frame Abe and it worked pretty well. In full bright daylight, you can set your f-stop to f16 and set your shutter speed to 1/125 of a second and you will get perfect exposure every time. In this day and age of digital metering and automatic everything, this may seem a bit redundant or unnecessary to know. However, knowledge will set you free. Having an idea how to measure light with the bare eye will give you a better sense of the settings on your camera. 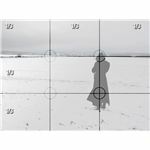 In addition, while automatic exposure control is a great thing and is definitely one thing you should use when figuring all the elements of your exposure settings, knowing how to do it on your own is definitely worthwhile. I once had a camera that lost its metering function, so until I could get it fixed, I was on my own, shooting on all manual settings. Knowing this trick gave me a basis to start from. Camera shake mostly happens when the shutter speed is too slow to accommodate the focal length of the lens. Adjust your shutter speed to a setting faster than the inverse of your focal length to keep camera shake to a minimum. Therefore, if you are using a 50mm lens, the best option for your shutter speed would be 1/60. If you have a 300mm lens, choose 1/500. Not all shooting situations will allow this, as the light may not be right for high shutter speeds. In this case, you can use some sort of camera support, like a tripod, or possibly adjust your ISO setting to allow a fast enough shutter speed. If using a tripod or other stabilizing device, definitely use a remote control shutter release. One of my personal photography secrets is to carry a small beanbag to set my camera on when I am out walking. It is good at leveling your camera if you want to set it on a stone in the woods or perhaps on a wall or other object in a city. Learn valuable photography secrets that can turn your pictures from good to great with just a little bit of effort. Carl Weaver, professional photographer, explains how to improve your photos with ten simple photography secrets. Topics include Avoiding Graininess, Understanding f-Stop and Aperture, and Setting White Balance. Some of my photography secrets are all about composition. This one is all about the technical aspects. Set your ISO to the lowest possible setting to avoid grain in your photos. If you are making an artistic photo and want some graininess, still shoot at as low an ISO setting as you can and then add the digital noise later in your photo editing software. This keeps your image as versatile as possible, allowing you to use it a different way in the future, should you want to. ISO should only be used as a functional tool to get the right exposure and never as a way to increase the texture or grain of an image. 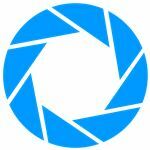 Understand f-Stop and Aperture to get a better sense of what they do both on a technical level and on a compositional level. Knowledge of aperture and f-stop can help you get the depth of field you want, as well as help you get the right exposure. The hard part about these two concepts is that one - aperture - is a measurement and the other, more common term - f-stop - is a ratio. As such, f-stop is not a measurement and does not have units. 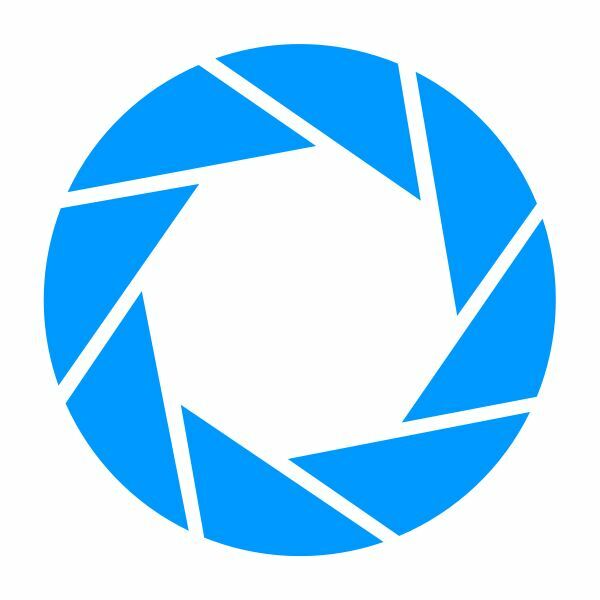 It is the ratio of the focal length of a lens to the aperture. The most important thing to know is that a small number f-stop lets in more light and gives you a shallow depth of field. A high number increases your depth of field but lets in less light. Getting the white balance set can make or break a great photo. This is a complicated subject for some photographers, but is important to get a good understanding. White balancing is the act of telling the camera what white looks like, given the setup and color of the lamps you are using. Different types of light (fluorescent, halogen, incandescent, etc.) all have different colors, so telling the camera exactly what is white allows the camera to reorient itself and produce the colors as you intend them to look. Your camera is loaded with probably five or more presets you can choose from to make white balancing easier. Also, try using custom white balance settings for more flexibility. This will let you step away from presets, which are not tuned to your individual set-up.